1 BR footprint-Residential-style. Sleeps 4 with for wristbands to the Exciting World of Atlantis. Set just across the Marina from Atlantis, Harborside Resort at Atlantis guests enjoy full access to all the facilities of Atlantis, Paradise Island combined with the home-away-from-home amenities that only a spacious, private villa can offer. 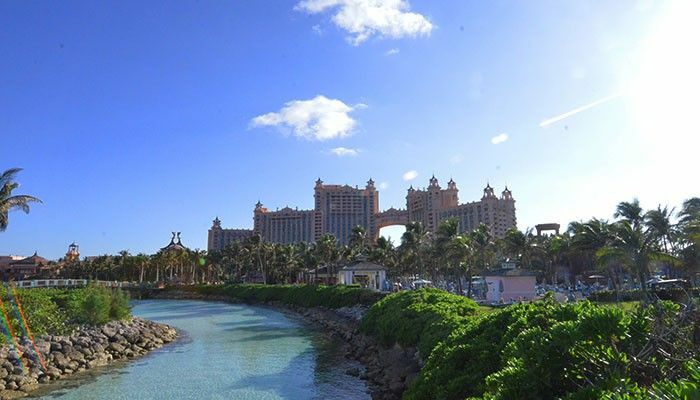 The resort features a harbor-front restaurant and pool area, hot tub, children's pool with water fountains, a fitness facility, a sundry store and all-day complimentary shuttle service to Atlantis. Standard amenities include fully equipped kitchen or kitchen area, bathroom with jetted tub, washer/dryer and a French, step-out balcony.